A great way to save money for you and have more to spend on your pet is grooming from home. This is a solution that many people choose instead of spending a lot of money at the groomers. Although there are some advantages and disadvantages about grooming your dog at home. Grooming from home will definitely cost you not extra money, but lots of time and effort on your part. The most compatible and easiest dogs to groom from home are most short-haired small breeds. If you own a long-haired breed dog, or any breed that requires complex grooming or special maintenance and hair cutting, you should seek a professional pet groomer. Someone who is skilled and knows how to groom all types of breeds. Doing this on your own can become difficult if not trained in the profession. Dog grooming at home trials may become difficult without the proper equipment. If you lack the proper supplies the operation will not be possible. First you should ask yourself a few questions. Do I have a table that will support my pet and my needs as well? Do you have a space at home that will be suitable for grooming? Making yourself a checklist of everything you need would be the next step. For short hair-breeds, clippers (for pads and sanitary areas) nail clippers, nail grinder, brushes, and ear cleaners are considered the basic necessity. Combs, scissors, and shears are useful, but not always necessary unless you are grooming a long-haired breed. Shampoos are also something you want to think about. For example, does your dog have itchy dry skin? You might want to consider a oatmeal shampoo. Don’t take dog grooming from home lightly, your pet depends on you to be responsible and help maintain their health. 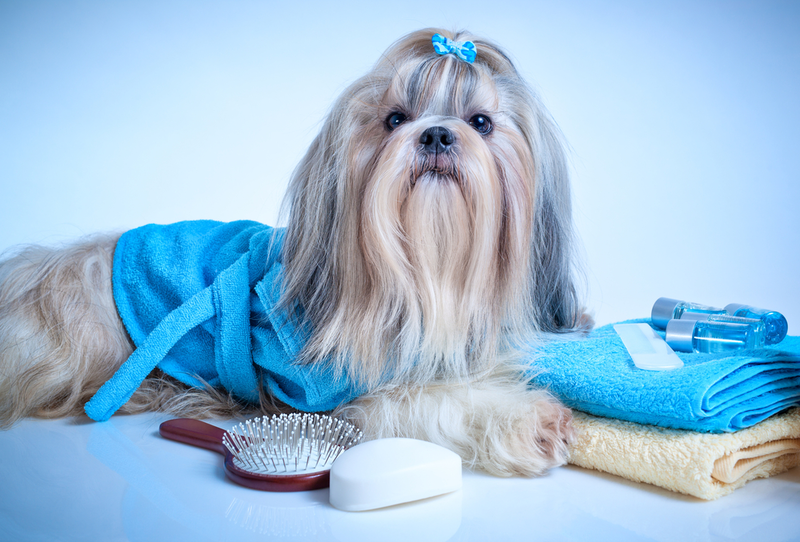 Do You Need To Hire A Professional Groomer To Groom Your Dogs? 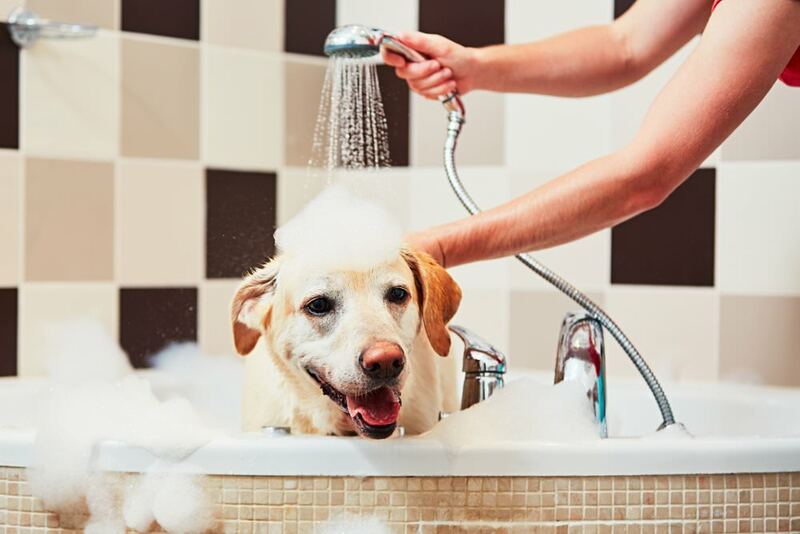 You should definitely look for tips and suggestions to learn more about the challenges you will face when grooming your dog at home. Research special needs of your breed and make sure to discuss with your veterinarian if you notice any skin conditions or injury to your dog that lie hidden beneath their coat. If an injury to the skin or any noticeable skin condition goes unnoticed for too long it can cause further health problems in the future. One advantage to having your dog groomed by a professional dog groomer is that they are trained to look for these sort of things during the grooming process and can be brought to the owners attention immediately. Bathing and brushing are important, but also make sure you pay the same attention to the nails, ears, teeth, eyes. Nail trimming is a must! It should be performed at least once a month. This all depends on how short you want to keep your dogs nails. Some dogs do not need their nails trimmed that often because they may go on lots of walks which helps keep their nails grinded down, or they may like to dig. If you don’t know how to trim your dog's nails or you are unsure on how to do so, don’t! Performing a nail trim the wrong way my lead to lots of vein injuries because the nail has been cut down too short. This can cause bleeding and a possible vet trip as well. 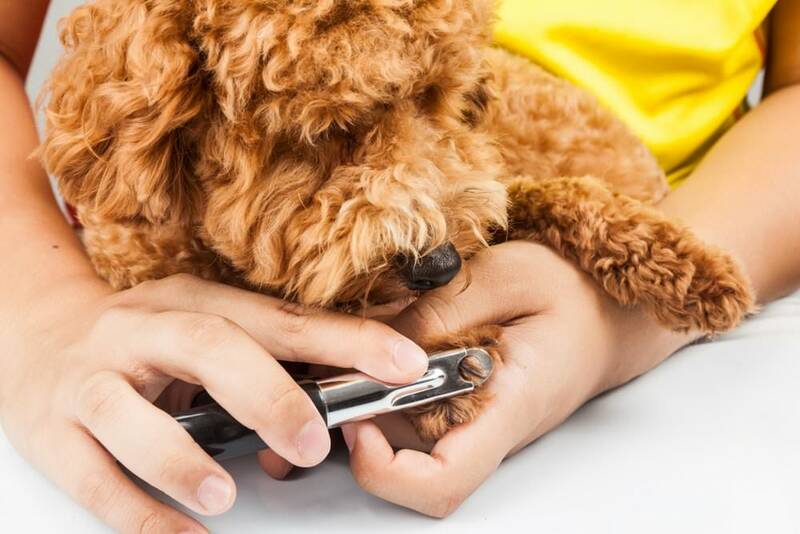 Trimming your dog's nails at home requires a lot of patience from you and your pet. Having someone hold them properly and talking to them during is always helpful. Reassure them that everything is okay while someone else does the trimming. It really makes it a lot easier with two people considering most dogs do not like their paws touched. The process of trimming the nails may not go by as fast and easy as you think, considering you may need to give your dog a bit of rest in between paws. That’s if they are not being good of course. Always reward your dog with a treat at the end. This could make them more cooperative in the future. In conclusion, you may save money grooming your dog from home, but it will take lot of time and effort on your part. The decision is yours to make!